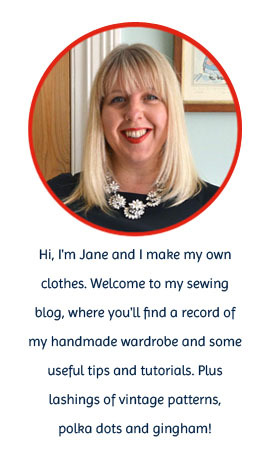 This page contains tutorials for craft items followed by simple dressmaking techniques. I hope you find them useful! If you mention my tutorials on your blog or website, I'd appreciate an acknowledgement and a link back to the original post. To reproduce any of the tutorials in full, please contact me for permission first. I'm very happy for you to use my craft tutorials for personal use and/or to make finished items to sell. Happy sewing! pretty scraps of fabric. Find the tutorial here. Small and cute with a handy waterproof lining - the perfect size for kids. and attractive gift for a new baby. Find the tutorial here. This tutorial is for a reversible shopping bag with a wider base at the bottom. reversible tote or book bag. Find the tutorial here. A handy and easy-to-make pouch for a mobile phone or iPod. It's also a good way of showcasing two contrasting fabrics. edges but still retains a lovely fleecy backing. Find the tutorial here. and make great keepsakes. Find the tutorial here. Turn a man's shirt into a smart cushion cover with this super easy tutorial! a touch of vintage interest to a sleeveless tank or singlet. Find the tutorial here. For instant warmth and chic, you can't go wrong with a faux fur scarf! Make a super-easy skirt using just a rectangle of fabric and a length of elastic! A straight forward tutorial for applying a lace trim to a Peter Pan collar. The result is SSOO pretty! be applied to any notched collar pattern. Find the tutorial here. Add a waist stay to a dress to anchor the waist in position and give a neat, fitted look. hidden on the inside of the garment and will add strength to underarm seam lines. I was interested to see your tutorial for a peter pan collar as I'm making fitted dresses but would like to give them a lift with different detail. However I couldn't access the link via the "click here"
Hi Jane....here I am still back reading!! Wondered if, for us newbies, you could show facing and hemming with bias...as in yo7r portabello curtain blouse....and the hemming mentioned in the first few comments? I know this stuff is second nature to you now, but I think I'd cope better with it than traditional methods but just am not confident with how.